Hair and Scalp Disorders is a concise, well-illustrated guide to diagnosis and management of hair and scalp disorders. 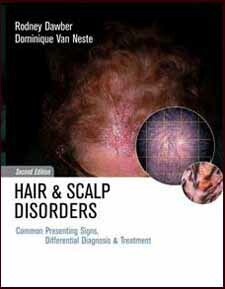 Hair and Scalp Disorders includes the latest information on inflammatory disorders and pharmaceutical treatments. It supplies full-color photographs, tables of differential diagnosis, and extensive cross-referencing to clarify the varieties of presenting signs that a physician will encounter. Completely revised and updated, Hair and Scalp Disorders, Second Edition contains expanded material on psychology and new material on evaluation and scoring.